Gogeta and Vegito. Pics of Gogeta. HD Wallpaper and background images in the Dragon Ball Z club tagged: gogeta. Look the same to me..
Vegeto is stronger, Old Kai even said that fusion with Potara earrings is stronger than with the fusion dance. 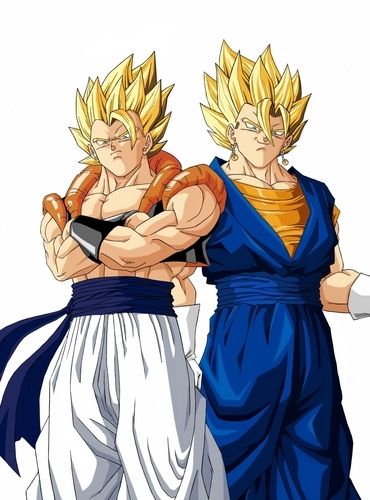 People think Gogeta is stronger because Vegeta and Goku were both SSJ4 when they fused, but SSJ4 Vegeto would be stonger. Looks the same too me but Vegito is stronger than Gogeta. Gogeta only lasts for 10 minutes! gogeta is still way better than vegito, even tho vegito lasts longer gogeta appears when the strongest villains come out so.... LONG LIVE GOGETA!!!!!!!!!!!! !